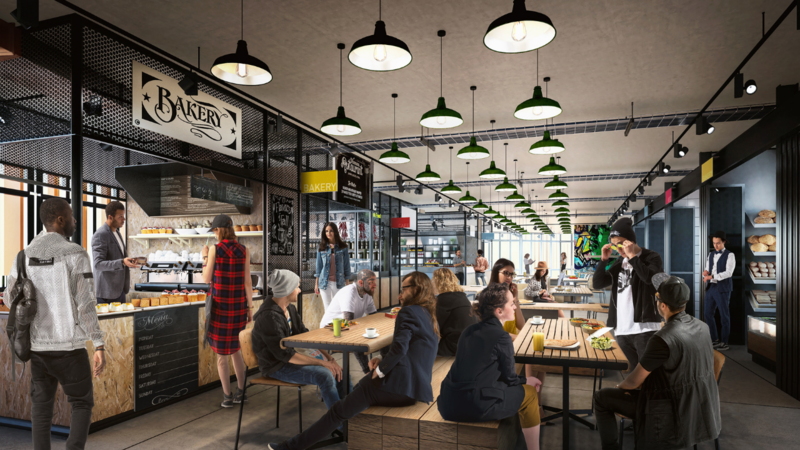 To produce a series of engaging digital media to aid HLM Architects & Glasgow University in the design and marketing of the University’s ambitious expansion program. This included CGI views, a fly-through animation, and a virtual reality walk-through experience. 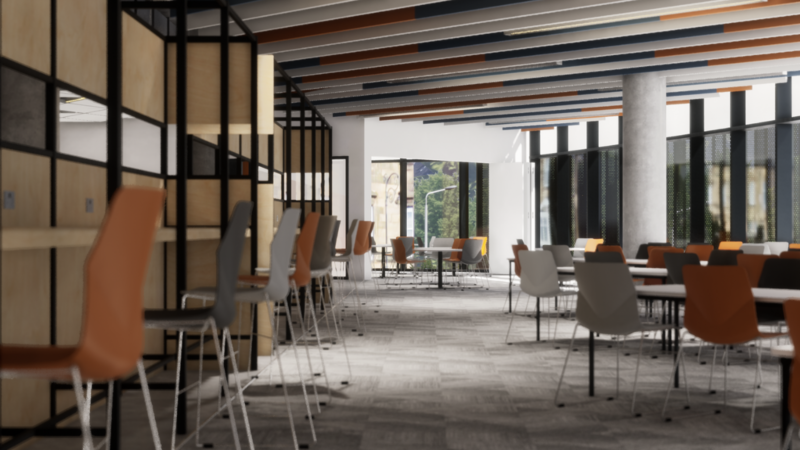 The aim was to use these tools to engage with and educate students and staff on the new Learning and Teaching Hub, which forms the first phase of the £1billion campus transformation. 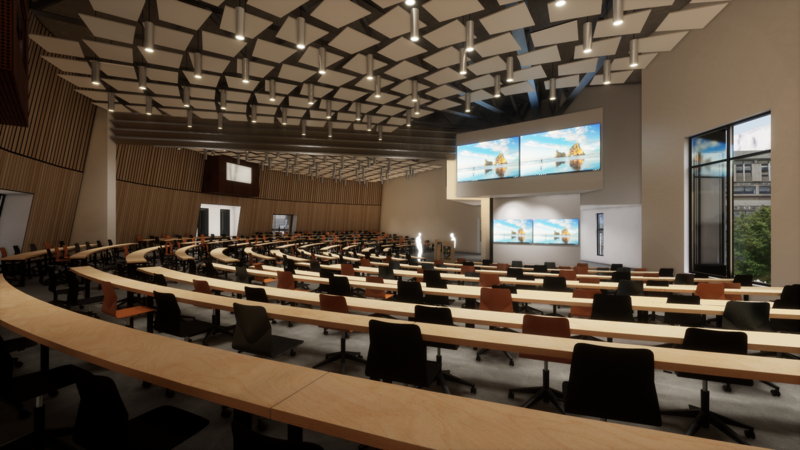 From the outset, both HLM Architects and the University were eager to utilise virtual reality technology for this project in order to enhance design and user engagement. Our team worked closely with HLM to ensure the virtual environment depicted the most accurate representation of the space. 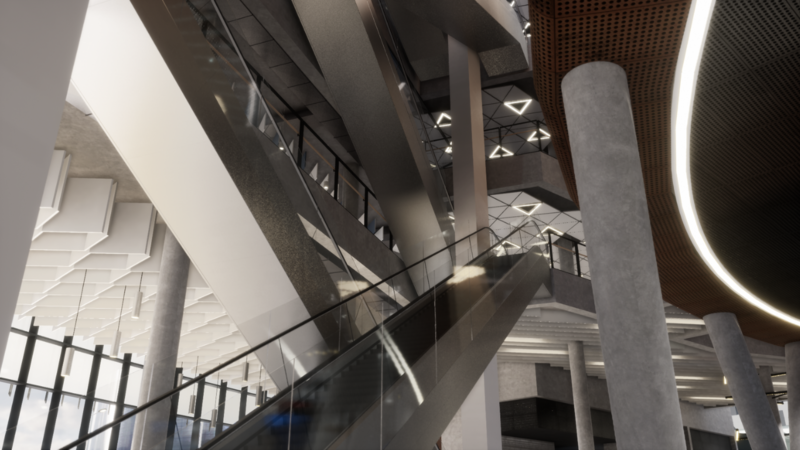 By using the latest games engine technology from Unreal, we developed real-time functionality that would provide users the freedom to enter and explore up to two floors of the building, accessing lecture theatres and using escalators and lifts. Modelling within the Unreal engine also allowed us to easily render a high quality fly-through animation in the fraction of time it would take using traditional methods of CG. The Unreal output was then displayed in our Reality Portal™ allowing multiple users to become immersed and explore the new environment in a shared virtual environment. 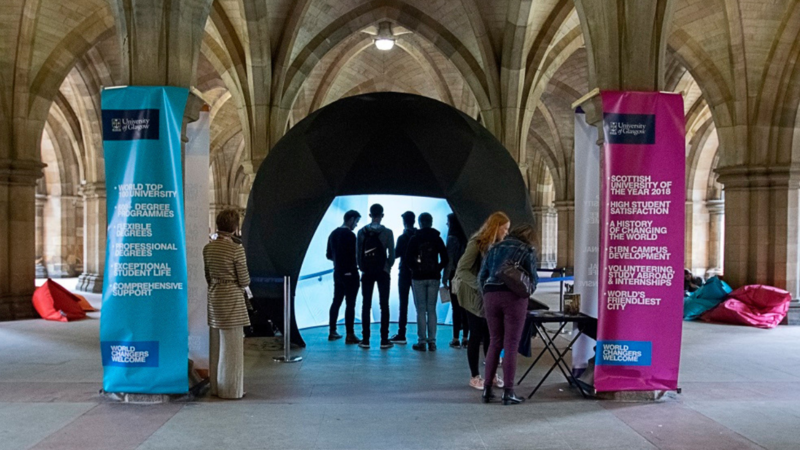 The Student Representative Council at Glasgow University held a successful demonstration and provided future users of the new campus an exciting, fully immersive, and highly believable virtual reality experience. These public engagements have allowed key members of the project team to collect valuable feedback from students and staff to contribute to the project. 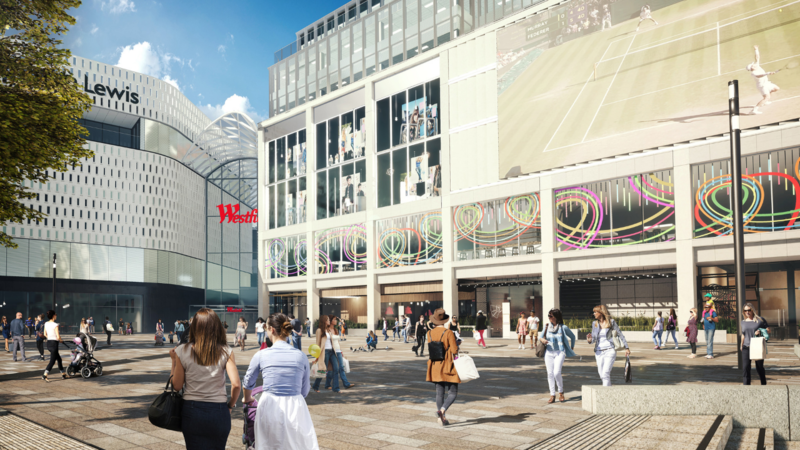 The CGI views and fly-through animation were subsequently utilised throughout the University’s marketing collateral to give the public an insight into the future of its iconic campus.